Take on the greatest challenges of our time. Strategy and Leadership in Transformational Times is a year-long specialized seminar that builds student skills in strategic thinking and leadership. Under the direction of Susan Eisenhower, SALTT participants use case studies from contemporary geopolitics, history, business, and public policy to examine the tenets of strategic thinking, and how it can be used to address rapidly changing political, social, and business environments. In the fall semester, Friday night sessions will use case studies demonstrating the effective use of a strategy, while Saturday sessions will provide an opportunity for participants to work on their own strategies on problems of their choice. In the spring semester (dates to be determined), students will take-on a long-term project, giving them the opportunity to apply what they have learned, developing plans of action to solve a personal, local, or national challenge. SALTT aims to mold students into “practitioners,” building their bases of knowledge and giving them the skills and confidence to put what they have learned into action. Through examination of case studies and development of individual strategies, students of all educational backgrounds are able to understand and practice strategic thinking for use in their future careers in the private, public, or non-profit sectors. 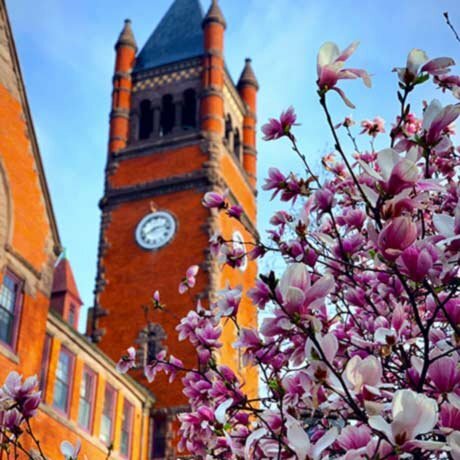 The SALTT program will be comprised of qualified students from Gettysburg College who successfully complete the application process and commit to attending the scheduled program sessions. Applicants must be willing to commit a Friday from 5:00 PM – 8:30 PM and Saturday from 10:00 AM to 12:00 PM once a month during the fall semester, as well as four days at the end of the January break. Dates for spring sessions will be determined during the fall semester.